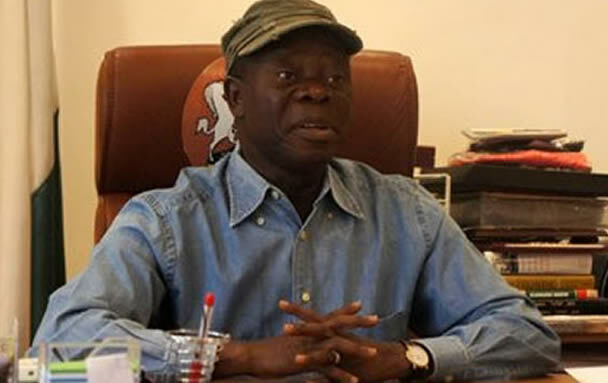 ‎Outgoing governor of Edo State, Adams Oshiomhole, has commuted the sentence of four death row inmates to life imprisonment. 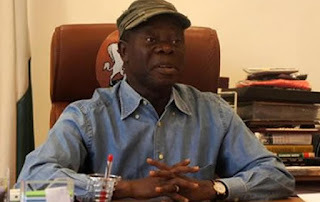 Oshiomhole disclosed this on Friday night during a thanksgiving Mass held at St. Paul’s Catholic Church on Airport road, Benin. The governor’s action followed a call by the Catholic Archbishop of Benin, Augustine Akubeze, on him (Oshiomhole) to forgive those who had offended him. Although the governor did not disclose the names of the inmates, it was learnt that they had served several years awaiting their execution. Acting in line with the advice of the committee on prerogative of mercy, he said it was his belief that the affected inmates had suffered enough. He said, “Four those cases of people who had been condemned to death on account of their crime, having spent almost 25 years in prison, I believe that they have suffered and they have learnt. ‎Oshiomhole also granted pardon to a man and a woman, whom he said impersonated him and his wife in 2015. But the governor left out the deposed Onojie of Uromi, Anslem Eidenojie II, from the list of those he forgave, adding that those seeking forgiveness must confess their sins. He said while the male impersonator had served one out of the seven years imprisonment, the woman was still on trial. He also promised to return them back and cater for the cost of their education in order to make them better citizens.